Lithuania-based Small Planet Airlines has reported that the gross profit margin for the first half of 2016 has lowered from 9.8% to 1.0% when compared to H1 2015. Rapid growth, investments in fleet expansion and aircraft upgrade contributed to the airline’s decrease in profitability, an airline representative said in a statement. Increased activity in Lithuania, Poland, the United Kingdom and launch of flights under the German AOC, as well as a return to the French market helped the independent leisure carrier’s revenue grow 9.9%, to 72.3 million EUR, compared to the same period in 2015. Over a period of six months, Small Planet added six new aircraft and carried 660 thousand passengers, 26% more YOY. “Unfortunately, four out of six new aircraft in our fleet were delivered very late and this was the main reason behind disappointing on-time performance and profitability,” said Vytautas Kaikaris, CEO of Small Planet Group. To balance the seasonality of work, the airline is seeking for an air operator’s certificate (AOC) in Cambodia to expand its Asian operations for the winter season, according to local media reports. Small Planet has AOCs in Lithuania and Poland and earlier this year added one in Germany. “Our top markets remain the same, and Asia will continue to play an important role in our strategy due to winter utilization”, Kaikaris concluded. Improving passengers’ experience remains among the top priorities for Small Planet Airlines. Cabin interiors of its all aircraft were modernized this year, including installation of new Recaro seats, LED lightning, premium seating and on-board entertainment systems. “We expect the Q3 profitability to be a bit down as well, and the Q4 to be in line with that of the last year”, Kaikaris predicted. 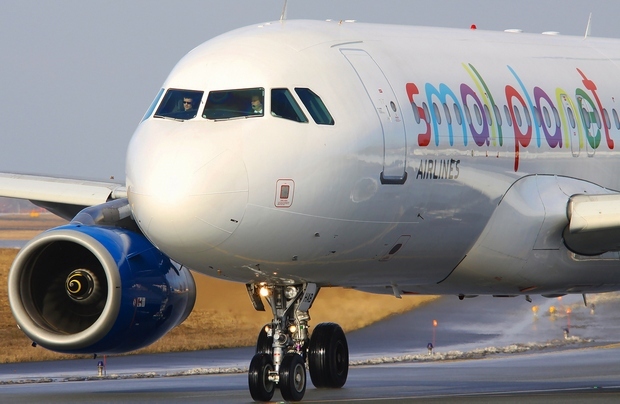 Poland continues to be the largest outbound market for Small Planet Airlines, representing about half of the overall charter activity this summer, followed by the United Kingdom and Lithuania, each having about 16% of the share. Germany shares 11% and France about 5% in the balance of the activity. Currently, Small Planet Airlines operates twenty-one aircraft under their AOCs: seventeen 180-seat Airbus A320s and four 220-seat Airbus A321 aircraft. The group operates out of 11 bases and serves more than 45 leisure destinations. It flies passengers to Greece, Spain, Turkey, Bulgaria, and other countries during the European summer holidays period. In the winter season, it moves some of its aircraft to the Asian region. Small Planet also organizes special flights for national delegates, athletes, the military, as well as private individuals.